In our society, we are inundated daily with toxins. We are exposed to them through the air we breathe, through chemicals found in our cleaning and beauty products, through pesticides and GMOs in our foods, and even through contaminants that leach into our water system. We simply cannot avoid them completely. Our bodies crave a break from these pollutants. We do have innate detoxification systems in place within our own bodies. Our liver acts as the primary filter for toxins. Our kidneys and colons also help to filter out toxins through urine and feces respectively. Our lungs filter out toxins and debris from the air we breathe. Our skin is our largest organ, and it eliminates toxins through sweat. The lymph system collects unwanted "debris" in the body such as fats, bacteria and other harmful materials and filters them through the lymph nodes. Although we have these built-in systems, sometimes our bodies still need assistance to boost that process, especially if we're having symptoms. If you experience any of the above symptoms, you might benefit from some of these detoxification strategies. 1. Massage: Often our bodies store lactic acid and other toxins in soft tissue. Getting a massage helps to release tension and those toxins from pressure points. Adding some essential oils to the massage can further promote detoxification. Drink plenty of water afterward to further flush out your system. If you can't afford regular massages, then try to have a partner or loved one give you one! 2. 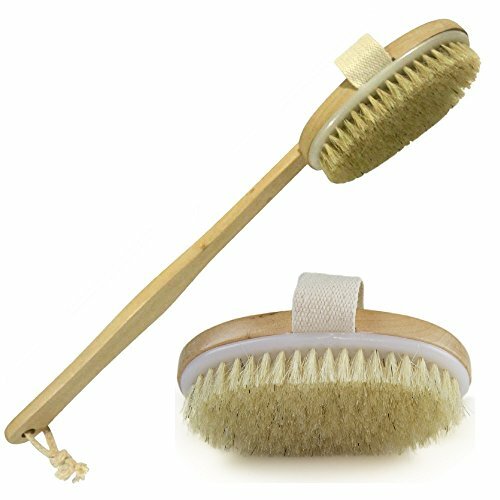 Dry Brushing: The premise behind dry brushing is primarily to help rid the skin and bloodstream of toxins by encouraging cell turnover and circulation. This involves using a medium-soft, natural bristle brush. Essentially, you'll gently run the brush up legs and arms, always working toward the heart to promote lymphatic drainage. You can also brush your abdomen and chest in a circular motion, and with a long-handled brush, you can try your back as well. Follow up with a shower to help rinse away dead skin cells and also to further increase circulation. Try dry brushing several times a week. 3. 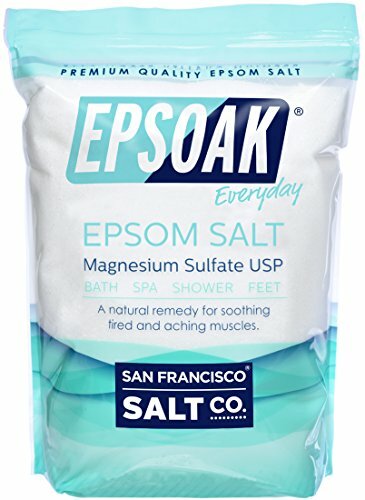 Epsom Salt Baths: Who doesn't love a nice hot bath after a long day? Adding a cup of epsom salts to your bath water can promote sleep as well as help with detoxification. The magnesium in the salts assists with relaxation and restful sleep. And the natural sulfates reduce inflammation, help the liver filter toxins, and support joint and nerve health. This is safe and effective enough to become a nightly ritual. 4. Exercise: Exercise, especially the cardiovascular kind, encourages detoxification by various mechanisms. Sweating, as we know, releases toxins through the skin. Heart-pumping workouts increase circulation and promote lymphatic movement and drainage. Deep breathing associated with cardiovascular exercise also helps the lungs to eliminate toxins. Exercise may also result in weight loss. This is beneficial because the fat on our bodies stores toxins. Aim for 3-5 sessions of cardiovascular exercise weekly lasting for at least 30 minutes each. 5. Drink More Water: The majority of us do not consume nearly enough water for ultimate body functioning and hydration. And to thoroughly flush out toxins, we need even more. Water allows your kidneys to filter toxins, helps your cells take in nutrients and remove waste, and transports nutrients to every organ in your body. If you don’t drink enough water, then you might be suffering from a buildup of toxins throughout your body and may be compromising your immune system. Aim to drink 8-13 cups of water per day. Also, always check your urine to be sure it's very light yellow or clear. This is just a simple list of some introductory detox strategies. 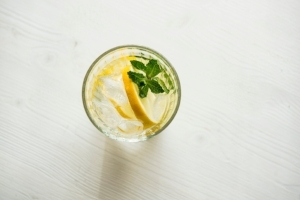 Dietary detoxes and cleanses are gaining popularity. Some require restricting or limiting certain foods and beverages. Likewise, there are other self-care detoxifications that may also be considered ways to pamper yourself ... think chiropractic care and saunas. For more detailed information and added ways to detoxify your body, please check out my book. You can purchase it below!